IT does not take much to drag a child of the 60’s back to the days when long hair and dancing until the wee small hours were a way of life. 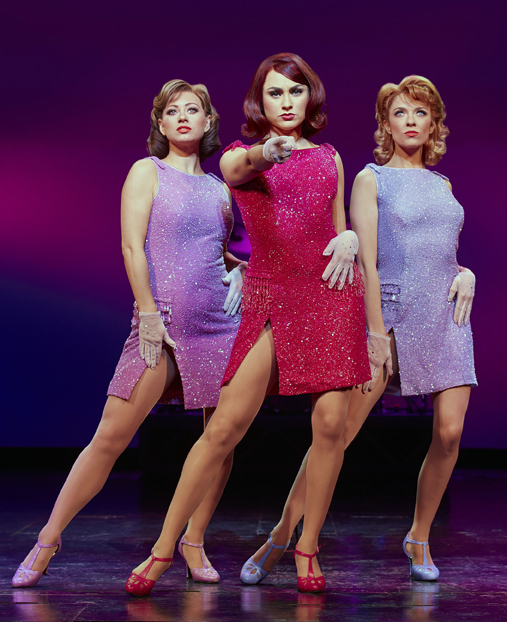 And though the spirit is still willing, the body gave up long ago so watching THE JERSEY BOYS at the Piccadilly Theatre, the blue rinse packed auditorium was full of those spirits, but dancing in the aisles needed a paramedic on stand by. The days of jive and whirling your partner over your head are now a memory for most, but the music of the ‘Four Seasons’ was outstanding. 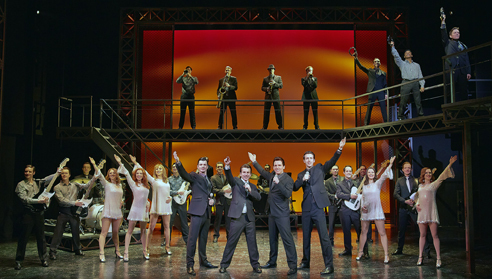 The hit show is based on the phenomenal success of the group who took over the charts back in the 1950/60s and Frankie Valli’s unique and exceptional range from baritone to falsetto being the reason. I remember it was Frankie’s voice that had us all jumping for the ceiling and doing gymnastics to impress the girls, but they were only listening to the singer. I know I married such a fan. It was courageous, and did they deliver? Michael’s voice is a perfect match for Valli and how we remembered him all those years ago. 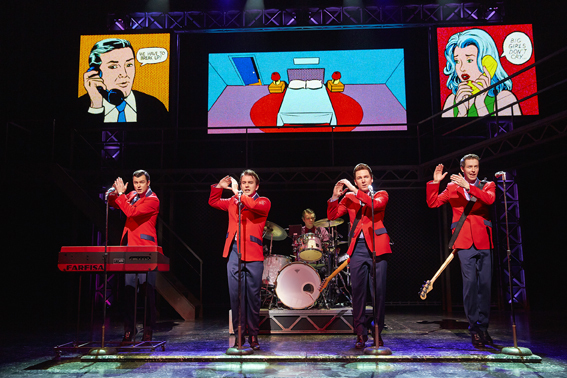 You still can’t beat the music of the 60s and this show is a100 per cent musical adrenalin rush; the bonus comes when the true, but little known story, is told of four lads who wanted to sing. 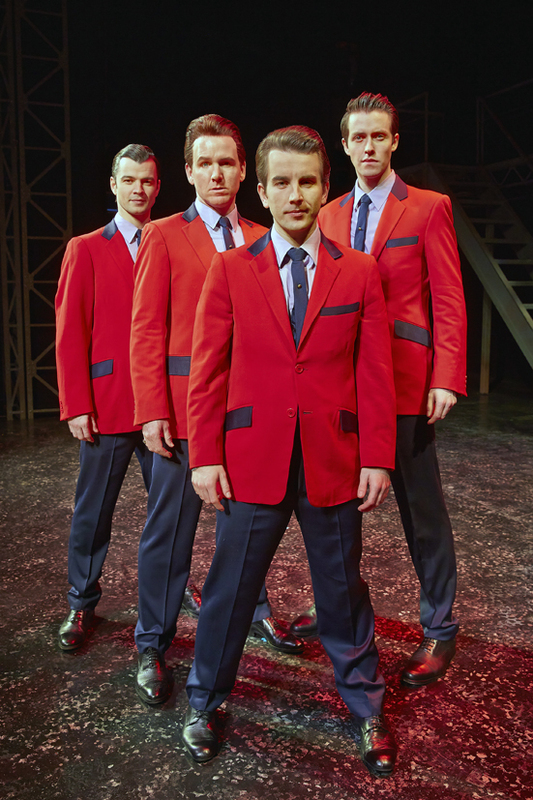 Featuring a cast of 21 high energy actors, you did not need telling you were in London’s theatre land, and with unforgettable songs such as ‘Sherry’, Big Girls Don’t Cry’, ‘Dawn,’ My Eyes Adore You’, to name but a few, each one was delivered as we remembered them. The performances were all excellent, but it was Essex born Michael Watson’s voice that brought our former lifestyles flooding back. 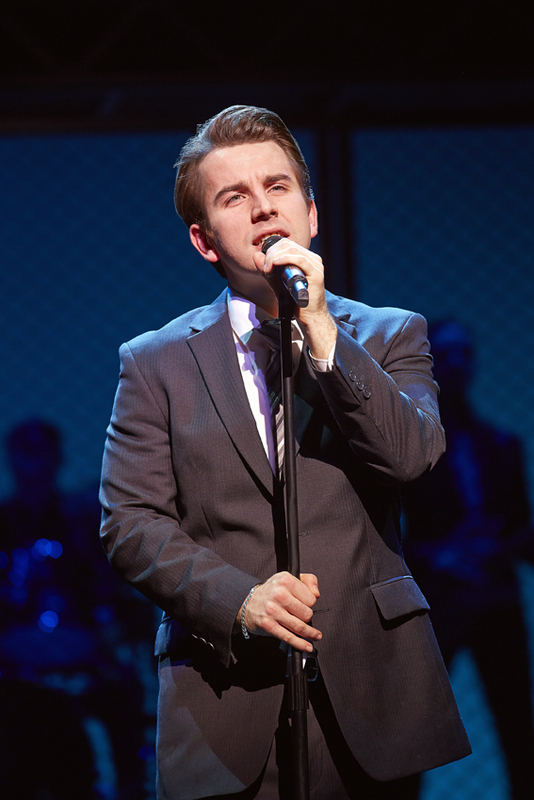 His vocal range is phenomenal and matches Valli’s to a level where there is no distinction, and reminding the audience of their youth, despite varicose veins stopping dancing in the aisles.